We stock many types of tyres from budget brand tyres to premium tyres we have something to suit everyone’s budget. If we do not have your desired tyre size or brand in stock we can usually get it later the same day or the next day. We do not deal with part worn tyres due to the risk. 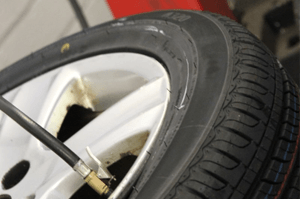 We do not deal with part worn tyres due to the risk. We do not deal with part worn tyres as you do not know the history beside them (have they been run under inflated or had a puncture repair). This is why our budget brand is so affordable they cost just a fraction more then a part worn which is great news for our customers as brand new tyres are much safer and will last longer!